1936. Against the backdrop of a fratricidal war, in a small village surrounded by mountains, the horrible murder of a girl unleashes the brutality hidden beneath those remote surroundings. A rural teacher tormented by the past, a cruel priest, and a village riven with fear are the main actors in The Ferocious Night, a metaphysical thriller. A profound evil, rooted in the past, rules over time and space in this novel with echoes of Greek tragedy and Dostoevsky. 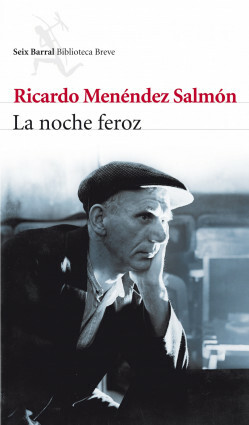 Considered “one of the most talented, profound, and interesting authors of our times,” (Vicente Luis Mora), Ricardo Menéndez Salmón employs a concentrated prose to present an allegory of horror in which everything, including words, gives rise to a primordial fear.